Australia Skilled Nominated Visa (190) has been the most popular choice for the individuals willing to settle in Australia. This Visa can be nominated by the relatives of the aspirant residing in the Australia. This Visa demands certain requirements that are mandatory as this Visa is of permanent nature. Initially, this Visa is given for five years. Nominated Skilled professionals will become eligible to apply for permanent residency after living in Australia for three years on PR visa. Basic Requirements of Australia Nominated Visa – Migration to Australia through this Visa is simple if your relative in Australia nominates you for this Visa Program. Respective states and territories can also nominate individuals for this Visa. Must receive an Invitation to apply for this Visa. Attain 60 points in the test. Skill assessment test mandatory to check your education with Skilled Occupation list. The satisfactory score in IELTS, TOFEL as English requirement standards. Health requirements and Police clearance certificate. After receiving an invitation to apply for the Skilled Nominated Visa, the aspirant has to submit the application online within the duration of 60 days. The information provided in the expression of interest must reflect in the application submitted, relevant evidence following the application is necessary. This Visa facilitates the applicant to study and work in any of the designated areas for two years. Keep the officials informed about the change of address and location. This Visa program benefits aspirants to seek permanent residency. The beneficiaries of this program have to update their information, in case if you joined for any admission program or any job. This Visa permits you to travel study and work extensively, ensure that you adhere to the laws of the land strictly. Australia is the biggest nation with different states and territories, the immigrants through any Visa program must respect and behave responsibly to the laws of the land. 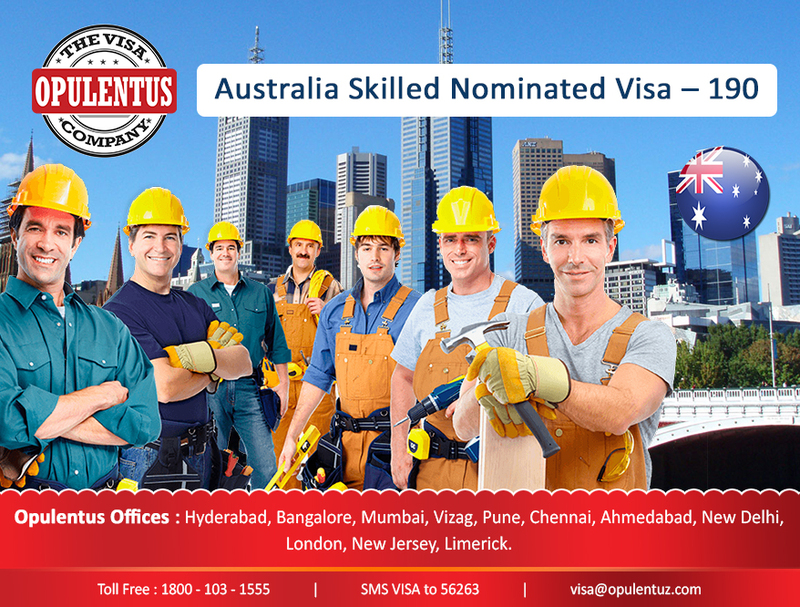 Best choice for Skilled People who want work in Australia Under this visa.